Another month has ended, and a week has already passed by. Last month was a very pleasant month and has introduced us to a new game “minesweeper”. The response from the users has been overwhelmingly good. We hope users keep on playing and enjoy our new addition. Along with the month, January wagering contest has come to a conclusion. A brief summarization of last months wagering contest is given below. The January wagering contest has ended with a blast. The users fought a tough battle to secure in their position on the wagering leaderboard. Here is a glimpse of all the users who managed to take something home with them. Bitcoin: User Pepepu35 once again managed to hold the top position of the bitcoin wagering contest. The user has wagered 231.382 BTC and has been rewarded 0.509 BTC for his achievement. Brewdog2018 came in second by wagering only 92.29 BTC and has won 0.175 BTC. Brewdog2018 was followed by m4ansen who placed in third by wagering 82.737 BTC and has been rewarded 0.132 BTC. Rest of the seven position were occupied by Thorlee272, fatgooseNNA, snoop888, jobbless1, Kai150, mrau01 and Jay472. Each user has been rewarded with 0.102 BTC, 0.081 BTC, 0.053 BTC, 0.0299 BTC, 0.0266 BTC, 0.0223 BTC and 0.0193 BTC for their respective position and wagered amount. A total of 1.152599 BTC has been dealt as a reward to the winners! Along with bitcoins, 828 lotto tickets have been spread out to the winners based on their rankings. Bitcoincash: This month Aylmer555 has occupied the first position at the bitcoincash wagering contest. The user has wagered 1,905.82 BCH and has been rewarded with 3.811 BCH for his position and wagered amount. Claudio513 has came in second by wagering 263.7 BCH and has won 0.474 BCH as a reward for his wagered amount and position. Third place has been taken by Huxford776 who has wagered 101.816 BCH and bagged in 0.152 BCH. Rest of the place has been taken by victorem and m4ansen. They have been rewarded with 0.104 BCH and 0.053 BCH for wagering 74.45 BCH and 44.34 BCH and taking the fourth and fifth place. A total of 4.5965 BCH has been distributed among the winners. DASH: The top position of dash wagering contest has been taken by Edwald060 who has wagered a total of 219.78 DASH. The user was rewarded with 0.439 DASH for his achievements. Brun935 came in second by wagering 174.799 DASH. Based on his position and wagered amount the user has been rewarded with 0.314 DASH. Third place was taken by Azaan who has wagered 124.58 DASH and received 0.186 DASH as a reward. The fourth and fifth place has been taken by btttttt and Cynric001 respectively. The users have been rewarded with 0.0954 and 0.0708 DASH. A total of 1.1 DASH has been given away as a reward to the users on the leaderboard. Dogecoin: Once again Goobersmooch was able to be on the top of the dogecoin wagering contest. The user has wagered 29,361,051 DOGE and has been rewarded 56,722 DOGE. Second place has been taken by shanti963 who has wagered 20,586,862 DOGE and has been rewarded with 37,056 DOGE. Third place was occupied by Kerrick880 who has wagered 15,857,878 DOGE and based on his wagered amount and position has been rewarded with 23,786 DOGE. Rest of the position has been taken by Kai150, Skyelar, 4SGSteffeo and spcm. Each user received 21,050 DOGE, 16,055 DOGE, 13,925 DOGE, 9,670 DOGE based on their position and wagered amount. A total of 178,257 Doge has been distributed among the winners along with 335 doge lotto tickets. EthereumClassic: Amans056 has conquered the top position of ETC wagering contest by wagering 6,395 ETC. Based on achievements, the user has been rewarded 12.79 ETC. Second place has been taken by Goobersmooch who has wagered 4,777.78 ETC and has been rewarded 8.6 ETC. The third place has been occupied by Parnal986 who has wagered 1,903.8 ETC. The user received 2.855 ETC as a reward. The rest of the position has been occupied by NiMa and janki. The users wagered 1,730.5 ETC and 1,440 ETC respectively and has been rewarded with 2.422 ETC and 1.728 ETC. A total of 28.3975 ETC has been distributed among the winners. Ethereum: This month wagering contest has been a total blast. All the top ten users managed to win the maximum reward. We have seen Huxford776 take over the top position by wagering 2,457.82 ETH and won 5 ETH as a reward. Sceobba658 has been placed second for wagering 1,978.42 ETH and has been rewarded 3 ETH. Aylmer555 who was our top winner of December wagering contest came in third this time. The user wagered 1,073.93 ETH and has been rewarded 1.5 ETH. Rest of the position has been occupied by winner11, Brannt242, Faine937, Adamson949, Aguisel935, locyn816 and d3ca. Each user has been rewarded with 1 ETH, 0.8 ETH, 0.6 ETH, 0.5 ETH, 0.4 ETH, 0.3 ETH and 0.2 ETH respectively for their wagered amount and position at the leader board. A total of 13.3 ETH has been given away to winners along with 828 Lotto tickets! NeoGas: User Peygir1 has been placed first on the top of the NeoGas wagering contest. The user has wagered 6,344.72 GAS and has been rewarded with 12.689 GAS. Second place has been taken by spcm who has wagered 5,269.33 GAS and has been rewarded with 9.484 GAS. Third place has been occupied by PorRoo who has wagered 4,037 GAS and won 6.056 GAS for his wagered amount and position. Fourth and fifth place has been taken by Birket888 and Sssssss77, each winning 3.181 GAS and 1.953 GAS. A total of 33.36561 GAS has been distributed among the winners. Litecoin: User jpt1016 has been placed in the first position of the Litecoin wagering contest. The user has wagered 10,289.6 LTC and has been rewarded the maximum reward of 15 LTC. The user was followed by 88xyxf who has wagered 7,135.133 LTC. Based on this wagered amount and position the user has been rewarded with a maximum reward of 10 LTC. Elgar994 has wagered 3,706.5 LTC and has been rewarded the maximum reward of 5 LTC. Rest of the four position has been taken by Goobersmooch, Donovan840, Skyelar and Shahista each winning 2.64 LTC, 1.1355 LTC, 0.94 LTC and 0.791 LTC. A total of 35.51 LTC has been given out to the winners. Along with those litecoins, 790 LTC lotto tickets has also been distributed to the top seven users. Peercoin: Skyelar has occupied the first position at Peercoin wagering contest leader board. The yser has wagered 52,606.42 PPC and has been rewarded with 105.212 PPC. Second place has been taken by Azaan who has wagered 28,211.59 PPC and has been rewarded 50.78 PPC for reaching this milestone. Third place has been taken by DemiGod who has wagered 26,767 PPC. Based on her position and wagered amount the user has been rewarded with 40.15 PPC. The fourth and fifth position has been claimed by Tudekiks and Eega each winning 21.64 PPC and 10.256 PPC. A total of 228.05 PPC has been distributed to the winners of PPC wagering contest. Stratis: The top position of Start wagering contest has been taken by grav who has wagered 40,539.182 XLM to get into this position. The user has been rewarded with 81.078 XLM for his position and wagered amount. Second place has been taken by Skyelar who has wagered 18,306.133 XLM and has won 32.95 XLM as a reward. Skyelar was followed by holzfritte who has wagered 14,357.93 XLM and won 21.53 XLM. The fourth and fifth position has been taken by Shahista and SAQAsaqa each winning 17.195 XLM and 14.66 XLM. Altogether, user has won a total of 167.43 XLM. Monero: User spcm has taken the first place by wagering an unbeatable amount of 2,024.687 XMR. The user has been rewarded with 4.049 XMR based on his wagered amount and position. Second place has been taken by Thorn932 who has wagered 630.856 XMR and has been rewarded with 1.135 XMR. User Thorn932 has been followed by fuziondevops who has wagered 148.22 XMR and has been rewarded with 0.22 XMR. Third and fourth position has been occupied by ltibor and Birly642 each winning 0.163 XMR and 0.094 XMR. A total of 5.665 XMR has been distributed among the winners. All rewards have been dealt to the players within few hours. Along with the rewards, the top five users for each coin have received the [VIP] tag. They now have access to all the VIP exclusive features. The tag will last until the end of the next wagering contest. February’s wagering contest has already been started with less than 20 days left for users to fight for the top position and claim in those sweet rewards. If you weren’t able to participate on last month’s contest, now is the perfect opportunity to do so. Since our last update, we have seen three more jackpots being hit this month. User chris managed to hit the jackpot and won 0.0341 BTC (1% of the total jackpot) by wagering only 0.00002 BTC. Another user m4ansan won the BCH jackpot and won 0.0617 BCH (1% of the total jackpot). The latest jackpot was been won by Shahista who has won 0.0615 BCH (1% of the total jackpot). More information on how to win the jackpot and claim 100% of the reward can be found at the “Jackpot” section in FAQ. If you still have questions about the jackpot, feel free to ask us on the chat channel. Last week's lotto was filled with tickets that came from the winners of the wagering contest. The total pot was huge, and we had lucky winners with small percentage who won the lotto. Bitcoin Lotto Round 342 was won by Skyelar who took in all the rewards (First, Second and Third place). The won the total pot of 0.21 BTC with only 33.599 % chance. Round 343 has been won by Whitewolf who has taken the first and second place with a 14.561 % of win chance. The user has won 0.044 BTC. The third place winner was acexpress and won 0.002335 BTC with a 11.991 % of win chance. Ethereum Lotto Round 141 has once again been won by Skyelar who has once again taken the first and second position. The user won a total of 3.16 ETH with a 41.6 % of win chance. Third place has been taken by Aylmer555 who has won 0.1667 ETH with a 4.498 % of win chance. Litecoin Lotto Round 83 has been won by roadcrypto who stood first with a win chance of 1.211 % winning 7.928 LTC in total. Jackthenife is the user who took in second position winning 1.486 LTC with a win chance of 1.615 %. Elgar994 came in third winning 0.495 LTC with 5.045 % of win chance. Doge coin Lotto Round 171 first place has been won by Goobersmooch with a 12.953 % of win chance. The user won 185,280 DOGE. Second and third position has been won by Skyelar winning 46,320 DOGE in total with only 48.532 % of win chance. 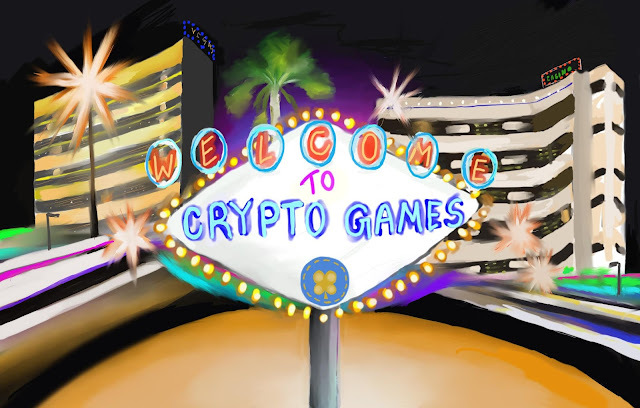 Head over to the Lotto page at crypto-games and buy some tickets to try out your luck. All bets made at crypto-games.net are provably fair and each bet can be verified individually. The January wagering contest has come to an end, but there is more to go. The February wagering contest has started with completely new statistic. Jump on that and wager enough to win something. Don’t forget, there are coins that are not much active in the wagering contest which you can join and easily reach the top position. Be at least on top five to get the VIP tag and access all its feature for one whole month. If you haven’t tried our new minesweeper game, then just give it a shot. Any kind of feedback is always appreciated. Thanks for staying with us. 22nd February: New Weekly Permanent Event!